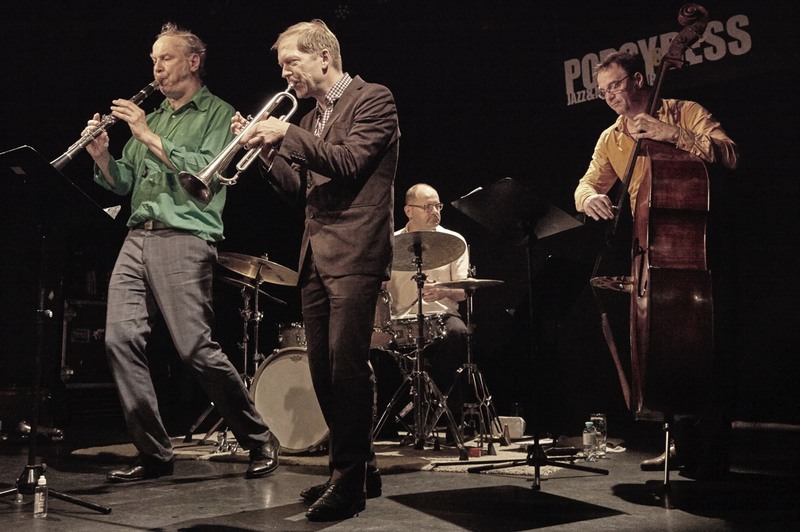 What’s the best jazz combo today? An elder statesman’s allstar band? Some recent hotshot conservatory grads? A mid-career hero’s touring group? For my money, none of the above. 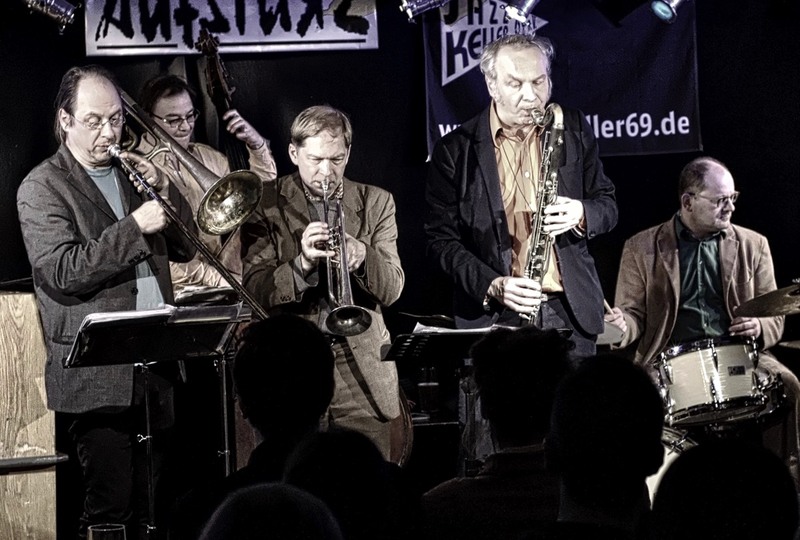 Instead, an unassuming, mildly self-abnegating foursome from Berlin is the heaviest working band in small-group jazz. Die Enttäuschung – a name that invites its own comments (and deflates any grand self-assertion like the above), translated as “the disappointment” – has been around since the end of the ‘90s … Playing intimate quartet music firmly rooted in free-bop, with an open sound, melodic improvising and a clear delight in swinging (and interrupting the swing), the group’s frontline is immediatley arresting, a gush of musicality … The band takes the good old idea that charts are springboards for playing, for music that is not on the page. There’s an absence of rigidity, there is serious listening, a playful attitude, humility and musical ambition, all rolled into one. No disappointment, at any level.